For Home: When the lights go out, it's more than just an inconvenience. Power outages can result in financial loss due to spoiled food, lost work, water damage and other residual effects of these situations. 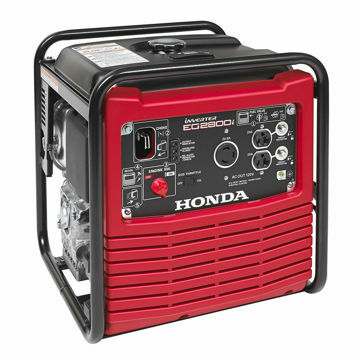 We can offer portable power as well as whole-house units that automatically come on when the power goes out. Think about a transfer switch. A transfer switch allows a safe connection from a generator to an electrical system (household or commercial). The transfer switch isolates the generator so it can't accidentally electrify external power wires. For Play: For camping and RV power, portable power can provide you the comforts of home. Some generators with special technology can even run computers. That's right, the power is clean enough for electronics. amps x volts = watts. Every electrical appliance has surge wattage and running wattage. Your generator must have wattage available to accommodate the surge wattage.